The first work of long fiction from the Pulitzer Prize-winning playwright, opening with a man alone in his bed in a trailer park in the desert, thinking back over his life. Out of the chute, the Pulitzer Prize-winning playwright and actor goes straight for the throat in his latest literary offering, The One Inside, setting the tone for a sprawling, strikingly beautiful raw-bone odyssey where the past stalks the present like a specter that can find no rest; where the living cannot break the chains of the dead ... 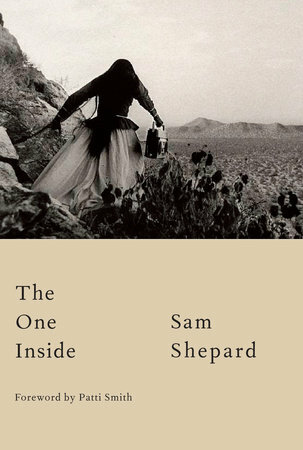 In essence, The One Inside is pure Sam Shepard — an American master of the surreal, the gothic, and the ties that bind ... 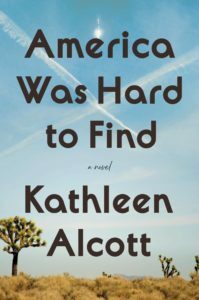 Broken into short, fractured chapters, the book deftly navigates between traditional novel narrative, lyrical prose, and straight-up dialogue. A culmination of a life’s work is at play all at once, and every inch is infused with Shepard’s muscular prose, wry humor, keen eye, and rhythmic flourish. You feel as if he’s pulled the tanned leather right from his boots and the worn indigo fabric from his favorite pair of jeans. Fans of his short stories and autobiographical writings will hear echoes of the playwright’s life all across this familiarly bleak landscape ... much of the book’s contemporary story has the substance of an extended, self-pitying sigh...There’s an awful lot of wandering around the house, looking for the dogs, feeling bereft. He thinks about suicide, mulls his dreams, considers the smell of his urine ... insights, often evocatively phrased, are the erratic rewards of reading this fitful book. Sometimes, they come in a single phrase, such as Shepard’s appraisal of T.S. Eliot: 'essential ideas redolent of stale gin and suicide.' But the best parts of The One Inside are those least hobbled by its fractured structure and mannered dialogue. When he stops letting vagueness masquerade as profundity, when he actually tells a story about a real man caught in the peculiar throes of a particular moment, he can still make the ordinary world feel suddenly desperate and strange. What did you think of The One Inside?